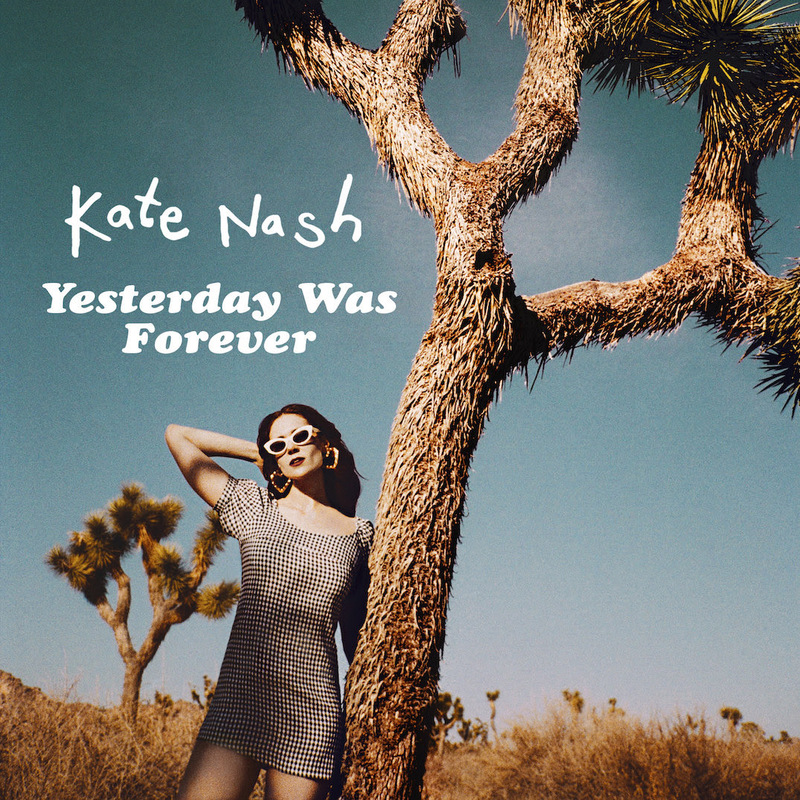 Today, Kate Nash released her highly anticipated fourth studio album “Yesterday Was Forever.” The full-length album is available worldwide and includes recent singles “Life In Pink” [watch the official videoHERE] and “Drink About You” [watch the official video HERE]. As one of the most honest, self-effacing and unpretentious pop-stars Britain has produced in a generation,Kate Nash is never going to let self-consciousness get the better of her. Now aged 30, Nash finds herself in a great place, she’s rediscovered her love for pop, launched a stellar acting career (currently starring in the female wrestling series 'GLOW'), and found communities of intersectional activists and progressive new voices to fight the good fight alongside. For her, “Yesterday Was Forever” -- Kate’s fourth album and the first since her self-released 2013 LP“Girl Talk” -- is a phrase straight out of a teenage diary and it contains smatterings of '90s pop-rock (Meredith Brooks, but also The Cranberries, Annie Lennox, Alanis Morissette and similarly forthright yet positive femme rock), alternative dance numbers, and spoken-word confessionals. The current genre-bending, limitless spectrum for pop is very encouraging to Nash. She feels as connected to the writing world she's been part of (she co-wrote Rita Ora's single 'Poison' with now fully-fledged popstar Julia Michaels), as she is to underground DIY girl bands like London band Dream Wife, and indie heroes such as Best Coast's Bethany Cosentino and LA band Bleached. The supportive network has been a revelation for her, and not what she experienced coming up in the scene. “Yesterday Was Forever” is out everywhere now. In other news, Kate has also been filming Season Two of the massively successful Liz Flahive(Homeland), Carly Mensch & Jenji Kohan's (Orange is The New Black) Netflix Original GLOW. Kate Nash’s U.S tour starts on April 4 in Vancouver. Go to www.katenash.com for tickets and more details.